“From Big Bang to Big Mystery: Human Origins in the Light of Creation and Evolution” by Brendan Purcell. New City Press (Hyde Park, N.Y., 2012). 365 pp., $34.95. Throughout the ages, scholars have pondered the “what” and “why” of human origin. 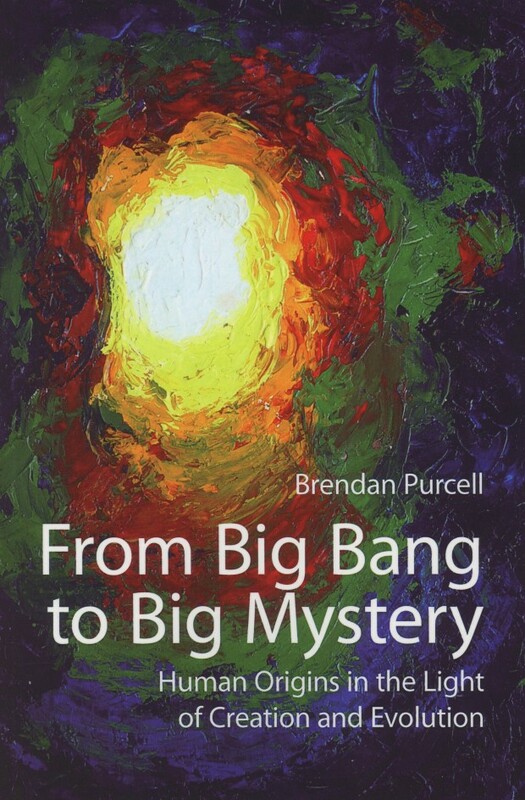 In his book “From Big Bang to Big Mystery: Human Origins in the Light of Creation and Evolution” Father Brendan Purcell, an adjunct professor in philosophy at the University of Notre Dame in Sydney, Australia, attempts to provide answers to these questions, with a great deal of success. Father Purcell has delivered a scholarly work (with 625 footnotes and a 22-page bibliography) that is, at the same time, accessible to the nonscholarly reader. Because the work deals primarily in philosophy and science, the book requires effort to read and understand, yet Father Purcell makes it an interesting and enjoyable read throughout. The author, ordained in 1967 for the Dublin Archdiocese, intends this book as a quest for understanding, an exploration of “that exclusively inner dimension that characterizes us as human being.” He is guided (and highly influenced) on this quest by the thought of the late Eric Voegelin, a philosopher of history. Discovering Voegelin’s work while in graduate school in psychology, Father Purcell has pursued this study throughout his life, opening himself to human thought from throughout the ages and from all cultures. The late Stephen Jay Gould, perhaps the best known of all American evolutionary biologists, argued for the theory of nonoverlapping magisteria. Gould believed that science could not be used to prove a philosophical or theological matter, and that philosophy and theology could not be used to prove a scientific one because they existed in two different realms: science in the realm of fact and theory, theology and philosophy in the realm of ultimate meaning and moral value. One could, however, look at science through the philosophical and theological lens, and use science to help us understand philosophy and theology. And that is exactly what Father Purcell accomplishes here. He does not try to prove his philosophical points with science or his scientific points with philosophy. Instead, he uses the philosophical viewpoints of Voegelin and the late Jesuit Father Bernard Lonergan to help us move through the evolutionary development of human beings. He begins by seeking to provide a “clear understanding of what we mean by ‘human. '” He explores this notion by exploring primarily the literature of the Bible and that of ancient Greece. Father Purcell then looks at the natural sciences, focusing on creation and the beginning of time (thus, the Big Bang of his title) and the developments that led to the formation of the human race. Part Three examines how humans belong to but are different from the rest of the “humanoid sequence,” what makes us human. Father Purcell argues persuasively here that it was the biological changes that made human speech possible that is the tipping point between humans and other hominids. Having established biologically what makes us human, Father Purcell finishes the book with arguments from theology and philosophy about human nature. As noted above, Father Purcell’s work requires effort on the part of the reader, both to understand the multitudes of concepts presented and to follow his reasoning throughout. That said, the reader is amply rewarded for the effort. Perhaps the greatest drawback of the book is Father Purcell’s wordy asides. In the introduction he takes several pages to describe how he came to know Voegelin and his works. Elsewhere he quotes long passages from texts when a sentence or two would have been enough. A judicious editing would have helped throughout. This work would stimulate wonderful discussions in high school and college theology classes, as well as in adult book clubs and discussion groups. It deserves serious attention and discussion. Mulhall is a catechetical writer and consultant. He lives in Laurel, Md.